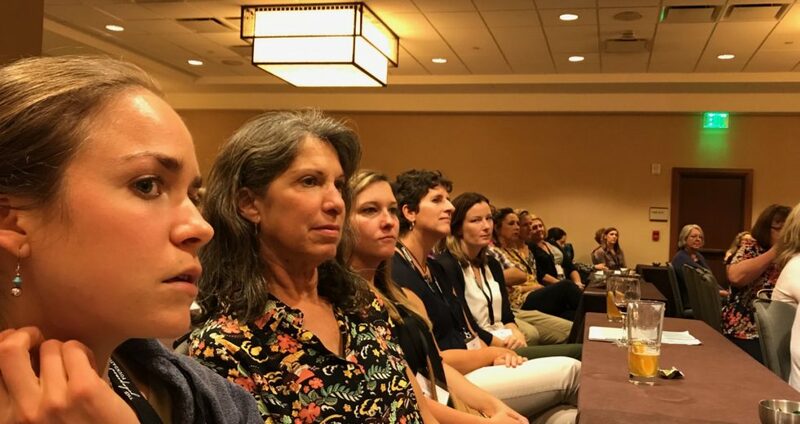 Audience members at TCOM conference in San Antonio in 2017. Registration is open for the annual Transformational Outcomes Management (TCOM) conference, which will be held Oct. 3-5, 2018 at the Drake Hotel in Chicago. Leaders and innovators in the fields of behavioral health, child welfare, juvenile justice, and education gather at this event to learn from and inspire each other to better support families. TCOM is an approach to family well-being that puts individuals and families at the center of planning their own care. Also called “person-centered” care, this approach uses a set of open domain tools and strategies developed by Dr. John Lyons of Chapin Hall. These tools, including the Child and Adolescent Needs and Strengths (CANS) instrument, are used by nearly 5,000 agencies across 10 countries and by providers in all 50 U.S. States. Many of those who use and have adapted TCOM tools for their local agencies attend the conference. The theme of this year’s conference is “Evidence and Transformation: Taking Person-Centered Care to Scale.” Register here for the 14th annual TCOM conference. © 2019 Copyright Chapin Hall.